Today, we have a spectacular project provides a helping hand–this time, it is a 3D printed hand–to the children born with disabilities, particularly the born with missing or deformed fingers. As the 3D printing technology inspire inventors and designers in different fields, a collaboration established between Jon Schull, researcher at Rochester Institute of Technology, and E-Nable community to provide 3D printed prostheses for the children to help them to have a better life. The 3D printed hands project has two main advantages, the first one is the cost, while the manufactured prosthetic hand costs around $10 000, the 3D printed version can easily be printed with a cost around $50 using low price printing materials. 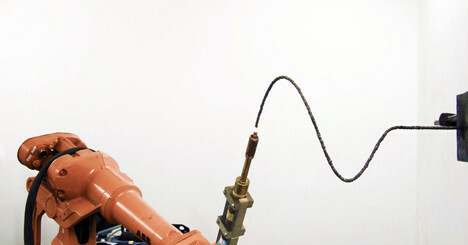 The second advantage is that the new technology is reachable and customizable. Any one is able to create customized hand for specific patient’s case by simple reaching an expert 3D designer with 3D printed in hand. 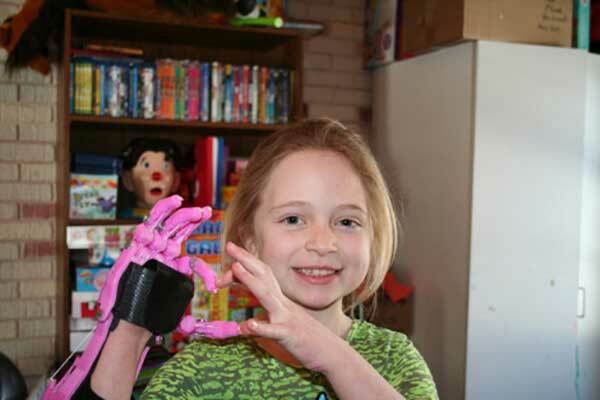 Shea is one of the example children who born with disable hand that has no figures. 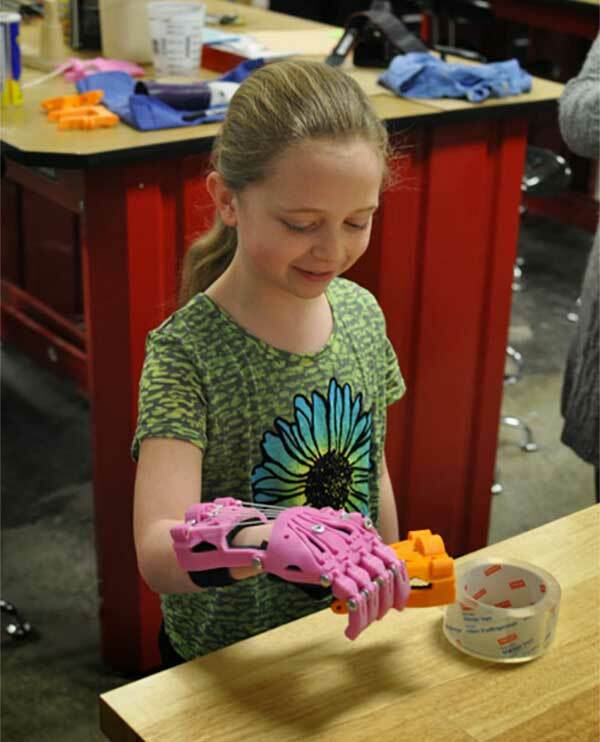 The 3D printing technology provides a chance to use her hand through a 3D printed prostheses that can make her life much easier. Shea’s 3D printed hand is created by Frankie Flood, an associate professor in metals department at the University of Wisconsin-Milwaukee’s Peck School of the Arts. 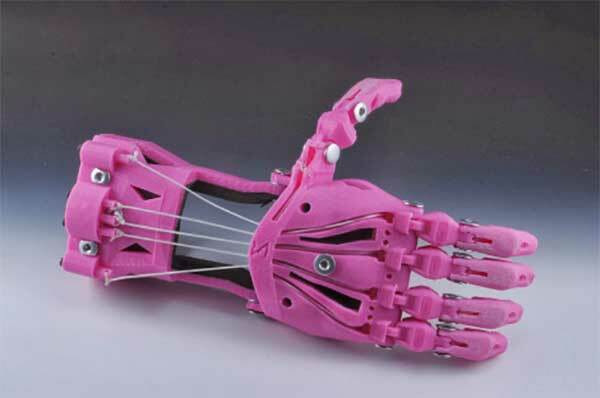 There are previous 3D printed hand projects that could be part of Flood research such as the Talon hand, which was designed by Peter Binkley, a dad from Virginia, for his son. 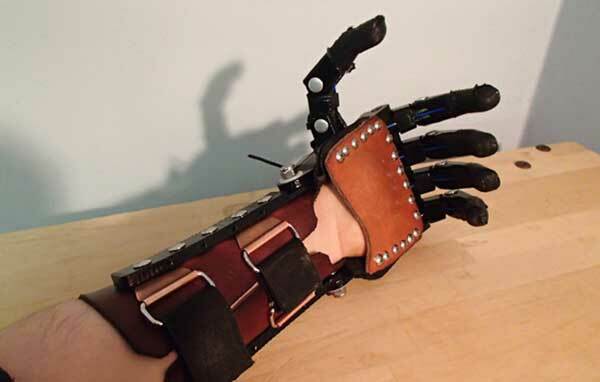 Also, there is the Cyborg Beast hand, created by Jorge Zuniga, an associate professor of exercise science at Creighton University. The video below shows how the 3D printed hand is developed with description by Flood how the model is created, then he provides a time-lapse for how the model is assembled and how it works. In the blog Flood created especially for this project, Shea’s hand, the video show the Shea tries to use the 3D printed hand. Although, it does not look to have much control on some objects especially with circular shapes, the technology is promising and with more research, we can reach a more reliable results that can provide the user more control using the 3D printed prostheses. The E-Nableing project provides different researches and models that can eventually link together and end up with a sustainable project that can be implemented with industrial standards.